Independent Jewish Voices in collaboration with Jews for Justice for Palestinians and Jewish Socialists’ Group are placing the following statement as an advert in the Jewish Chronicle next week. We urgently need your signatures and your financial support. £15 would be ideal, but whatever you can afford would be much appreciated. Please note that signing up is not contingent on paying, so if money is not possible, we still very much encourage your signatures. The advert will appear on February 3rd and we need to have your signature at the very latest by 6pm, January 30th. The money can come later but we need the signatures ASAP. To add your name to the advertisement, and for details on how to help cover the cost of the ad, please email web@ijv.org.uk. We are Jews in Britain who support UN Security Council Resolution 2334. This confirms that the establishment of settlements “has no legal validity and constitutes a flagrant violation under international law”. The resolution demands that “Israel immediately and completely cease all settlement activities in the occupied Palestinian territory”. Here in Britain we also know – from meticulous City University research, overseen by eminent Jewish academics – that the great majority of British Jews are opposed to the settlement project. When leaders of the Board of Deputies declared their opposition to Resolution 2334, they did not speak in our name. No to continuing Occupation…….. No to settlements……… No to settlement expansion…….. No to buying settlement products……… Yes to a just peace. Many thanks for your support – I’ll forward your message. 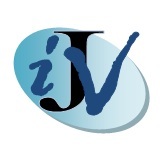 Please send an email to web@ijv.org.uk with your full name, and we will add it to the advert. Many thanks for your support!